 SD 3 with 4-in-1 Interface (Supports SD, SDXC, SDHC, UHS-I). Sold separately or as an optional feature. Small Form Factor can be configured with either (1) 3.5" or (2) 2.5" internal storage drive (2.5 inch drive needs adapter). (2) USB 2.0: allows for wake from S4/S5 with keyboard/mouse when connected and enabled in BIOS. For the methods outlined in the National Institute of Standards and Technology Special Publication 800-88 "Clear" sanitation method. Multi-Core is designed to improve performance of certain software products. Not all customers or software applications will necessarily benefit from use of this technology. Performance and clock frequency will vary depending on application workload and your hardware and software configurations. Intel’s numbering branding and/or naming is not a measurement of higher performance. 1 Not all features are available in all editions or versions of Windows. Systems may require upgraded and/or separately purchased hardware, drivers, software or BIOS update to take full advantage of Windows functionality. Windows 10 is automatically updated, which is always enabled. ISP fees may apply and additional requirements may apply over time for updates. See http://www.windows.com/. 2 Some devices for academic use will automatically be updated to Windows 10 Pro Education with the Windows 10 Anniversary Update. Features vary; see https://aka.ms/ProEducation for Windows 10 Pro Education feature information. 3 For hard drives and solid state drives, GB = 1 billion bytes. TB = 1 trillion bytes. Actual formatted capacity is less. Up to 36 GB (for Windows 10) of system disk is reserved for the system recovery software. 4 Your product does not support Windows 8 or Windows 7. In accordance with Microsoft’s support policy, HP does not support the Windows 8 or Windows 7 operating system on products configured with Intel® and AMD 7th generation and forward processors or provide any Windows 8 or Windows 7 drivers on http://www.support.hp.com 5 EPEAT® registered where applicable. EPEAT registration varies by country. See www.epeat.net for registration status by country. See HP’s 3rd party option store for solar energy accessory at www.hp.com/go/options. 6 For systems configured with more than 3 GB of memory and a 32-bit operating system, all memory may not be available due to system resource requirements. Addressing memory above 4 GB requires a 64-bit operating system. Memory modules support data transfer rates up to 2133 MT/s; actual data rate is determined by the system's configured processor. See processor specifications for supported memory data rate. 7 All memory slots are customer accessible / upgradeable. 8 Sold separately or as an optional feature. 9 Availability may vary by country. 10 SD 3 with 4-in-1 Interface (Supports SD, SDXC, SDHC, UHS-I). Sold separately or as an optional feature. 11 HP BIOSphere: HP BIOSphere Gen4 requires Intel® or AMD 8th Gen processors. Features may vary depending on the platform and configurations. 12 HP Native Miracast Support: Miracast is a wireless technology your PC can use to project your screen to TVs, projectors, and streaming. 13 HP Driver Packs not preinstalled, however available for download at http://www.hp.com/go/clientmanagement. 14 Intel® I210-T1 PCIe® GbE: Sold separately or as an optional feature. 15 Wireless access point and internet service required. 16 Small Form Factor can be configured with either (1) 3.5" or (2) 2.5" internal storage drive (2.5 inch drive needs adapter). 17 (2) USB 2.0: allows for wake from S4/S5 with keyboard/mouse when connected and enabled in BIOS. 18 HP Client Security Suite Gen 4 requires Windows and Intel® or AMD 8th generation processors. 19 HP Password Manager requires Internet Explorer or Chrome™ or Firefox. Some websites and applications may not be supported. User may need to enable or allow the add-on / extension in the internet browser. 20 Trusted Platform Module TPM 2.0 Embedded Security Chip shipped with Windows 10 (Common Criteria EAL4+ Certified)(FIPS 140-2 Level 2 Certified): In some scenarios, machines pre-configured with Windows OS might ship with TPM turned off. 21 For the methods outlined in the National Institute of Standards and Technology Special Publication 800-88 "Clear" sanitation method. 22 HP ePrint Driver + JetAdvantage: HP ePrint Driver requires an Internet connection to HP web-enabled printer and HP ePrint account registration (for a list of eligible printers, supported documents and image types and other HP ePrint details, see www.hp.com/go/eprintcenter). Print times and connection speeds may vary. 23 HP Support Assistant requires Windows and Internet access. 24 Windows Defender Opt In, Windows 10, and internet connection required for updates. 25 HP PhoneWise Client may not be available with HP Workwise. For supported platforms and HP PhoneWise system requirements see www.hp.com/go/HPPhoneWise. 26 HP Sure Click is available on most HP PCs and supports Microsoft® Internet Explorer and Chromium™. Supported attachments include Microsoft Office (Word, Excel, PowerPoint) and PDF files in read only mode, when Microsoft Office or Adobe Acrobat are installed. 27 HP Velocity: Availability may vary by country. 28 HP Management Integration Kit for Microsoft System Center Configuration Management Gen 2: can be downloaded from http://www8.hp.com/us/en/ads/clientmanagement/overview.html. 29 Ivanti Management Suite: subscription required. 30 Multi-Core is designed to improve performance of certain software products. Not all customers or software applications will necessarily benefit from use of this technology. Performance and clock frequency will vary depending on application workload and your hardware and software configurations. Intel’s numbering branding and/or naming is not a measurement of higher performance. 31 Intel® Optane™ memory system acceleration does not replace or increase the DRAM in your system and requires configuration with an optional Intel® Core™ i(5 or 7)+ processor. 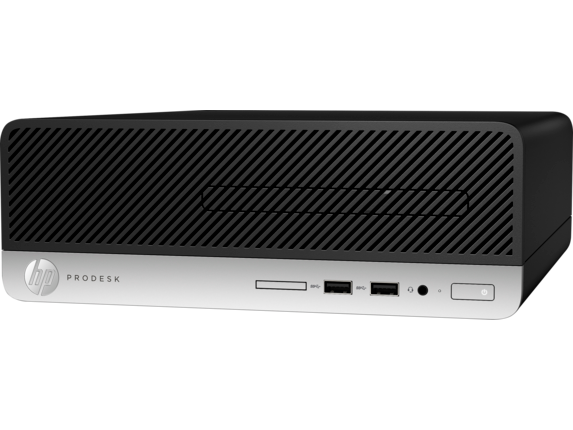 32 Intel® Turbo Boost technology requires a PC with a processor with Intel Turbo Boost capability. Intel Turbo Boost performance varies depending on hardware, software and overall system configuration. See www.intel.com/technology/turboboost for more information. 33 HP Drive Lock is not supported on NVMe drives. 1 Not all features are available in all editions or versions of Windows. Systems may require upgraded and/or separately purchased hardware, drivers, software or BIOS update to take full advantage of Windows functionality. Windows 10 is automatically updated, which is always enabled. ISP fees may apply and additional requirements may apply over time for updates. See http://www.windows.com. 2 Multi-Core is designed to improve performance of certain software products. Not all customers or software applications will necessarily benefit from use of this technology. Performance and clock frequency will vary depending on application workload and your hardware and software configurations. Intel’s numbering branding and/or naming is not a measurement of higher performance. 3 Intel® Optane™ memory system acceleration does not replace or increase the DRAM in your system and requires configuration with an optional Intel® Core™ i(5 or 7)+ processor. 4 Sold separately or as an optional feature. 5 Support for up to three video outputs via two standard video connectors and an optional third video port connector which provides the following choices: DisplayPort™ 1.2, HDMI 2.0, VGA, or USB Type-C™ with Display Output. 6 HP Total Test Process testing is not a guarantee of future performance under these test conditions. Accidental damage requires an optional HP Accidental Damage Protection Care Pack. 1 Not all features are available in all editions or versions of Windows. Systems may require upgraded and/or separately purchased hardware, drivers, software or BIOS update to take full advantage of Windows functionality. Windows 10 is automatically updated, which is always enabled. ISP fees may apply and additional requirements may apply over time for updates. See http://www.windows.com/. 2 Some devices for academic use will automatically be updated to Windows 10 Pro Education with the Windows 10 Anniversary Update. Features vary; see https://aka.ms/ProEducation for Windows 10 Pro Education feature information. 3 For hard drives and solid state drives, GB = 1 billion bytes. TB = 1 trillion bytes. Actual formatted capacity is less. Up to 36 GB (for Windows 10) of system disk is reserved for the system recovery software. 4 Your product does not support Windows 8 or Windows 7. In accordance with Microsoft’s support policy, HP does not support the Windows 8 or Windows 7 operating system on products configured with Intel® and AMD 7th generation and forward processors or provide any Windows 8 or Windows 7 drivers on http://www.support.hp.com 5 EPEAT® registered where applicable. EPEAT registration varies by country. See www.epeat.net for registration status by country. See HP’s 3rd party option store for solar energy accessory at www.hp.com/go/options. 6 For systems configured with more than 3 GB of memory and a 32-bit operating system, all memory may not be available due to system resource requirements. Addressing memory above 4 GB requires a 64-bit operating system. Memory modules support data transfer rates up to 2133 MT/s; actual data rate is determined by the system's configured processor. See processor specifications for supported memory data rate. 7 All memory slots are customer accessible / upgradeable. 8 Sold separately or as an optional feature. 9 Availability may vary by country. 10 SD 3 with 4-in-1 Interface (Supports SD, SDXC, SDHC, UHS-I). Sold separately or as an optional feature. 11 HP BIOSphere: HP BIOSphere Gen4 requires Intel® or AMD 8th Gen processors. Features may vary depending on the platform and configurations. 12 HP Native Miracast Support: Miracast is a wireless technology your PC can use to project your screen to TVs, projectors, and streaming. 13 HP Driver Packs not preinstalled, however available for download at http://www.hp.com/go/clientmanagement. 14 Intel® I210-T1 PCIe® GbE: Sold separately or as an optional feature. 15 Wireless access point and internet service required. 16 Small Form Factor can be configured with either (1) 3.5" or (2) 2.5" internal storage drive (2.5 inch drive needs adapter). 17 (2) USB 2.0: allows for wake from S4/S5 with keyboard/mouse when connected and enabled in BIOS. 18 HP Client Security Suite Gen 4 requires Windows and Intel® or AMD 8th generation processors. 19 HP Password Manager requires Internet Explorer or Chrome™ or Firefox. Some websites and applications may not be supported. User may need to enable or allow the add-on / extension in the internet browser. 20 Trusted Platform Module TPM 2.0 Embedded Security Chip shipped with Windows 10 (Common Criteria EAL4+ Certified)(FIPS 140-2 Level 2 Certified): In some scenarios, machines pre-configured with Windows OS might ship with TPM turned off. 21 For the methods outlined in the National Institute of Standards and Technology Special Publication 800-88 "Clear" sanitation method. 22 HP ePrint Driver + JetAdvantage: HP ePrint Driver requires an Internet connection to HP web-enabled printer and HP ePrint account registration (for a list of eligible printers, supported documents and image types and other HP ePrint details, see www.hp.com/go/eprintcenter). Print times and connection speeds may vary. 23 HP Support Assistant requires Windows and Internet access. 24 Windows Defender Opt In, Windows 10, and internet connection required for updates. 25 HP PhoneWise Client may not be available with HP Workwise. For supported platforms and HP PhoneWise system requirements see www.hp.com/go/HPPhoneWise. 26 HP Sure Click is available on most HP PCs and supports Microsoft® Internet Explorer and Chromium™. Supported attachments include Microsoft Office (Word, Excel, PowerPoint) and PDF files in read only mode, when Microsoft Office or Adobe Acrobat are installed. 27 HP Velocity: Availability may vary by country. 28 HP Management Integration Kit for Microsoft System Center Configuration Management Gen 2: can be downloaded from http://www8.hp.com/us/en/ads/clientmanagement/overview.html. 29 Ivanti Management Suite: subscription required. 30 Multi-Core is designed to improve performance of certain software products. Not all customers or software applications will necessarily benefit from use of this technology. Performance and clock frequency will vary depending on application workload and your hardware and software configurations. Intel’s numbering branding and/or naming is not a measurement of higher performance. 31 Intel® Optane™ memory system acceleration does not replace or increase the DRAM in your system and requires configuration with an optional Intel® Core™ i(5 or 7)+ processor. 32 Intel® Turbo Boost technology requires a PC with a processor with Intel Turbo Boost capability. Intel Turbo Boost performance varies depending on hardware, software and overall system configuration. See www.intel.com/technology/turboboost for more information. 33 HP Drive Lock is not supported on NVMe drives. 1 Not all features are available in all editions or versions of Windows. Systems may require upgraded and/or separately purchased hardware, drivers, software or BIOS update to take full advantage of Windows functionality. Windows 10 is automatically updated, which is always enabled. ISP fees may apply and additional requirements may apply over time for updates. See http://www.windows.com/. 2 Some devices for academic use will automatically be updated to Windows 10 Pro Education with the Windows 10 Anniversary Update. Features vary; see https://aka.ms/ProEducation for Windows 10 Pro Education feature information. 3 For hard drives and solid state drives, GB = 1 billion bytes. TB = 1 trillion bytes. Actual formatted capacity is less. Up to 36 GB (for Windows 10) of system disk is reserved for the system recovery software. 4 Your product does not support Windows 8 or Windows 7. In accordance with Microsoft’s support policy, HP does not support the Windows 8 or Windows 7 operating system on products configured with Intel® and AMD 7th generation and forward processors or provide any Windows 8 or Windows 7 drivers on http://www.support.hp.com 5 EPEAT® registered where applicable. EPEAT registration varies by country. See www.epeat.net for registration status by country. See HP’s 3rd party option store for solar energy accessory at www.hp.com/go/options. 6 Multi-core is designed to improve performance of certain software products. Not all customers or software applications will necessarily benefit from use of this technology. Performance and clock frequency will vary depending on application workload and your hardware and software configurations. Intel’s numbering is not a measurement of higher performance. Intel, Pentium, Intel Core, Celeron, Intel logo and the Intel Inside logo are trademarks of Intel Corporation in the U.S. and other countries. 7 Intel® Turbo Boost performance varies depending on hardware, software and overall system configuration. See http://www.intel.com/technology/turboboost/ for more information. 8 Sold separately or as an optional feature. 9 Availability may vary by country. 10 SD 3 with 4-in-1 Interface (Supports SD, SDXC, SDHC, UHS-I). Sold separately or as an optional feature. 11 HP BIOSphere: HP BIOSphere Gen4 requires Intel® or AMD 8th Gen processors. Features may vary depending on the platform and configurations. 12 HP Native Miracast Support: Miracast is a wireless technology your PC can use to project your screen to TVs, projectors, and streaming. 13 HP Driver Packs not preinstalled, however available for download at http://www.hp.com/go/clientmanagement. 14 Intel® I210-T1 PCIe® GbE: Sold separately or as an optional feature. 15 Wireless access point and internet service required. 16 Small Form Factor can be configured with either (1) 3.5" or (2) 2.5" internal storage drive (2.5 inch drive needs adapter). 17 (2) USB 2.0: allows for wake from S4/S5 with keyboard/mouse when connected and enabled in BIOS. 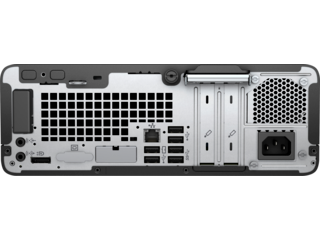 18 HP Client Security Suite Gen 4 requires Windows and Intel® or AMD 8th generation processors. 19 HP Password Manager requires Internet Explorer or Chrome™ or Firefox. Some websites and applications may not be supported. User may need to enable or allow the add-on / extension in the internet browser. 20 Trusted Platform Module TPM 2.0 Embedded Security Chip shipped with Windows 10 (Common Criteria EAL4+ Certified)(FIPS 140-2 Level 2 Certified): In some scenarios, machines pre-configured with Windows OS might ship with TPM turned off. 21 For the methods outlined in the National Institute of Standards and Technology Special Publication 800-88 "Clear" sanitation method. 22 HP ePrint Driver + JetAdvantage: HP ePrint Driver requires an Internet connection to HP web-enabled printer and HP ePrint account registration (for a list of eligible printers, supported documents and image types and other HP ePrint details, see www.hp.com/go/eprintcenter). Print times and connection speeds may vary. 23 HP Support Assistant requires Windows and Internet access. 24 Windows Defender Opt In, Windows 10, and internet connection required for updates. 25 HP PhoneWise Client may not be available with HP Workwise. For supported platforms and HP PhoneWise system requirements see www.hp.com/go/HPPhoneWise. 26 HP Sure Click is available on most HP PCs and supports Microsoft® Internet Explorer and Chromium™. Supported attachments include Microsoft Office (Word, Excel, PowerPoint) and PDF files in read only mode, when Microsoft Office or Adobe Acrobat are installed. 27 HP Velocity: Availability may vary by country. 28 HP Management Integration Kit for Microsoft System Center Configuration Management Gen 2: can be downloaded from http://www8.hp.com/us/en/ads/clientmanagement/overview.html. 29 Ivanti Management Suite: subscription required. 30 Multi-Core is designed to improve performance of certain software products. Not all customers or software applications will necessarily benefit from use of this technology. Performance and clock frequency will vary depending on application workload and your hardware and software configurations. Intel’s numbering branding and/or naming is not a measurement of higher performance. 31 Intel® Optane™ memory system acceleration does not replace or increase the DRAM in your system and requires configuration with an optional Intel® Core™ i(5 or 7)+ processor. 32 Intel® Turbo Boost technology requires a PC with a processor with Intel Turbo Boost capability. Intel Turbo Boost performance varies depending on hardware, software and overall system configuration. See www.intel.com/technology/turboboost for more information. 33 HP Drive Lock is not supported on NVMe drives. 6 Multi-core is designed to improve performance of certain software products. Not all customers or software applications will necessarily benefit from use of this technology. Performance and clock frequency will vary depending on application workload and your hardware and software configurations. Intel’s numbering is not a measurement of higher performance. Intel, Pentium, Intel Core, Celeron, Intel logo and the Intel Inside logo are trademarks of Intel Corporation in the U.S. and other countries. 1 HP Client Security Manager Gen4 requires Windows and Intel® 7th Gen processors. 2 HP BIOSphere Gen4 requires Intel® or AMD 8th Gen processors. Features may vary depending on the platform and configurations. 3 HP Manageability Integration Kit can be downloaded from http://www.hp.com/go/clientmanagement. 4 HP Sure Click is available on most HP PCs and supports Microsoft® Internet Explorer and Chromium™. Supported attachments include Microsoft Office (Word, Excel, PowerPoint) and PDF files in read only mode, when Microsoft Office or Adobe Acrobat are installed. 5 Not all features are available in all editions or versions of Windows. Systems may require upgraded and/or separately purchased hardware, drivers, software or BIOS update to take full advantage of Windows functionality. Windows 10 is automatically updated, which is always enabled. ISP fees may apply and additional requirements may apply over time for updates. See http://www.windows.com. 6 Multi-Core is designed to improve performance of certain software products. Not all customers or software applications will necessarily benefit from use of this technology. Performance and clock frequency will vary depending on application workload and your hardware and software configurations. Intel’s numbering branding and/or naming is not a measurement of higher performance. 7 Intel® Optane™ memory system acceleration does not replace or increase the DRAM in your system and requires configuration with an optional Intel® Core™ i(5 or 7)+ processor. 8 Sold separately or as an optional feature. 9 Support for up to three video outputs via two standard video connectors and an optional third video port connector which provides the following choices: DisplayPort™ 1.2, HDMI 2.0, VGA, or USB Type-C™ with Display Output. 10 HP Total Test Process testing is not a guarantee of future performance under these test conditions. Accidental damage requires an optional HP Accidental Damage Protection Care Pack. 1 Not all features are available in all editions or versions of Windows. Systems may require upgraded and/or separately purchased hardware, drivers, software or BIOS update to take full advantage of Windows functionality. Windows 10 is automatically updated, which is always enabled. ISP fees may apply and additional requirements may apply over time for updates. See http://www.windows.com/. 2 Some devices for academic use will automatically be updated to Windows 10 Pro Education with the Windows 10 Anniversary Update. Features vary; see https://aka.ms/ProEducation for Windows 10 Pro Education feature information. 3 For hard drives and solid state drives, GB = 1 billion bytes. TB = 1 trillion bytes. Actual formatted capacity is less. Up to 36 GB (for Windows 10) of system disk is reserved for the system recovery software. 4 Your product does not support Windows 8 or Windows 7. In accordance with Microsoft’s support policy, HP does not support the Windows 8 or Windows 7 operating system on products configured with Intel® and AMD 7th generation and forward processors or provide any Windows 8 or Windows 7 drivers on http://www.support.hp.com 5 EPEAT® registered where applicable. EPEAT registration varies by country. See www.epeat.net for registration status by country. See HP’s 3rd party option store for solar energy accessory at www.hp.com/go/options. 6 Multi-core is designed to improve performance of certain software products. Not all customers or software applications will necessarily benefit from use of this technology. Performance and clock frequency will vary depending on application workload and your hardware and software configurations. Intel’s numbering is not a measurement of higher performance. Intel, Pentium, Intel Core, Celeron, Intel logo and the Intel Inside logo are trademarks of Intel Corporation in the U.S. and other countries. 7 Intel® Turbo Boost performance varies depending on hardware, software and overall system configuration. See http://www.intel.com/technology/turboboost/ for more information. 8 Sold separately or as an optional feature. 9 Availability may vary by country. 10 SD 3 with 4-in-1 Interface (Supports SD, SDXC, SDHC, UHS-I). Sold separately or as an optional feature. 11 HP BIOSphere: HP BIOSphere Gen4 requires Intel® or AMD 8th Gen processors. Features may vary depending on the platform and configurations. 12 HP Native Miracast Support: Miracast is a wireless technology your PC can use to project your screen to TVs, projectors, and streaming. 13 HP Driver Packs not preinstalled, however available for download at http://www.hp.com/go/clientmanagement. 14 Intel® I210-T1 PCIe® GbE: Sold separately or as an optional feature. 15 Wireless access point and internet service required. 16 Small Form Factor can be configured with either (1) 3.5" or (2) 2.5" internal storage drive (2.5 inch drive needs adapter). 17 (2) USB 2.0: allows for wake from S4/S5 with keyboard/mouse when connected and enabled in BIOS. 18 HP Client Security Suite Gen 4 requires Windows and Intel® or AMD 8th generation processors. 19 HP Password Manager requires Internet Explorer or Chrome™ or Firefox. Some websites and applications may not be supported. User may need to enable or allow the add-on / extension in the internet browser. 20 Trusted Platform Module TPM 2.0 Embedded Security Chip shipped with Windows 10 (Common Criteria EAL4+ Certified)(FIPS 140-2 Level 2 Certified): In some scenarios, machines pre-configured with Windows OS might ship with TPM turned off. 21 For the methods outlined in the National Institute of Standards and Technology Special Publication 800-88 "Clear" sanitation method. 22 HP ePrint Driver + JetAdvantage: HP ePrint Driver requires an Internet connection to HP web-enabled printer and HP ePrint account registration (for a list of eligible printers, supported documents and image types and other HP ePrint details, see www.hp.com/go/eprintcenter). Print times and connection speeds may vary. 23 HP Support Assistant requires Windows and Internet access. 24 Windows Defender Opt In, Windows 10, and internet connection required for updates. 25 HP PhoneWise Client may not be available with HP Workwise. For supported platforms and HP PhoneWise system requirements see www.hp.com/go/HPPhoneWise. 26 HP Sure Click is available on most HP PCs and supports Microsoft® Internet Explorer and Chromium™. Supported attachments include Microsoft Office (Word, Excel, PowerPoint) and PDF files in read only mode, when Microsoft Office or Adobe Acrobat are installed. 27 HP Velocity: Availability may vary by country. 28 HP Management Integration Kit for Microsoft System Center Configuration Management Gen 2: can be downloaded from http://www8.hp.com/us/en/ads/clientmanagement/overview.html. 29 Ivanti Management Suite: subscription required. 30 Multi-Core is designed to improve performance of certain software products. Not all customers or software applications will necessarily benefit from use of this technology. Performance and clock frequency will vary depending on application workload and your hardware and software configurations. Intel’s numbering branding and/or naming is not a measurement of higher performance. 31 Intel® Optane™ memory system acceleration does not replace or increase the DRAM in your system and requires configuration with an optional Intel® Core™ i(5 or 7)+ processor. 32 Intel® Turbo Boost technology requires a PC with a processor with Intel Turbo Boost capability. Intel Turbo Boost performance varies depending on hardware, software and overall system configuration. See www.intel.com/technology/turboboost for more information. 33 HP Drive Lock is not supported on NVMe drives. 6 Multi-core is designed to improve performance of certain software products. Not all customers or software applications will necessarily benefit from use of this technology. Performance and clock frequency will vary depending on application workload and your hardware and software configurations. Intel’s numbering is not a measurement of higher performance. Intel, Pentium, Intel Core, Celeron, Intel logo and the Intel Inside logo are trademarks of Intel Corporation in the U.S. and other countries. If you're looking for a small form factor computer, you want a PC that takes up less space without sacrificing performance. We think that's a reasonable request, and it’s why we created the HP ProDesk 400. With power for your most important tasks, the security to keep your work safe, and the ability to stand the test of time, you'd be hard-pressed to find a more reliable asset to add to your team. We know your business can't afford to invest in a computer that's left in the dust by every new feature and capability coming around the corner. That's why we built the ProDesk 400 G4 to be here today, and here tomorrow. With two half-height slots for PCI cards, two bays, and optional legacy ports, you'll have all you need to expand your capabilities into the future as it comes, or connect devices of the past that still serve their purpose. Not only does it have what it takes to keep up with changes in the standards of computers, or those of your business, it's built to survive the sometimes harsh elements and heavy use that comes with being an indispensable device in your office. After going through 120,000 hours worth of testing—the equivalent of 5,000 days—you can be sure you’re getting a small form desktop computer that’s designed to be in it for the long haul, just like your business. And with an optional dust filter, your investment can continue taking care of itself, even in the most demanding office environments. When you get a small form factor computer, you get something that can fit in your office the way a great new hire can fit in with your team. With easier portability when you need it compared to your standard, bulkier desktops, you won’t be hassled to move around if you need to call another location home. Because of its size, you’ve found the missing piece of the puzzle when it comes to creating a workspace that fits your needs. 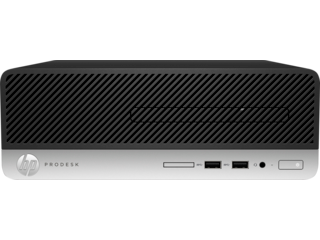 With smaller dimensions, it can accomodate your expansion if you’re looking for a PC that can make it easier to squeeze in another desk. It doesn’t just save space—it saves you energy, too. With a 180 watt internal power supply that provides up to 85% efficiency, you’ll get the required power without anything extra that could potentially drive up your power bill. Despite its manageable size, you get a heavyweight punch. The 7th Generation Intel® Core™ Processor provides the push you need, whether that’s on a last-minute project, or the daily tasks that require a little extra power to work through. When you combine the optional Intel® Optane™ memory with the installed 500GB HDD storage, you’ll get the speed associated with SSD devices, plus the extra space you need for all of your important files and data. If you want a small form factor Windows PC, we’ve got you covered. With Windows 10 Pro 64, you get a sleek design with tools to assist you like Cortana, and tools to secure you and your business like Windows Information Protection, Device Encryption, and Bitlocker. 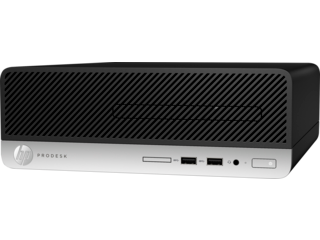 In addition to receiving protection with Windows 10, you’ll also get the necessary security features from HP as soona s you power up your computer. If you’re looking to avoid downtime and keep your business producing, the firmware-level automation provided by HP BIOSphere Gen3 can help you do it. Automatic updates and security checks give you one less thing to worry about when it comes to staying secure and in operation. The HP Client Security Suite Gen3 can provide even more protection, giving you all of the tools you need to keep what’s yours right where it needs to be. Multi-factor Authenticate allows you to use fingerprints or facial recognition to keep your PC from being accessed by anyone that’s not on the same team. HP Device Access Manager allows you to prevent unauthorized use of your computer, while SpareKey can recover lost system passwords to save you from the avoidable tasks that distract you from your actual work. And with HP Password Manager, you can securely store your passwords to keep a worst case scenario from ever happening. You may not always be in the office, but you’ll always want to ensure your PC is safe, which is why we offer HP WorkWise. With WorkWise, you get a smartphone app that can provide you with real-time updates in the palm of your hand. If you want to know if someone is attempting to tamper with your device, or if everything that needs to be connected is connected, you’ll know it. You’ll also be made aware of a change right when it happens. Checking the status of your device isn’t the only feature you’ll find helpful. With PC lock, you can automatically lock your screen whenever you step away, and unlock it whenever you come back. And to make computer maintenance even easier, you can install printer drivers with a quick scan of your HP Printer’s QR code using the WorkWise app. You hire new employees to be there for your business today, and in the uncertain tomorrow. We built the ProDesk 400 to do the same. 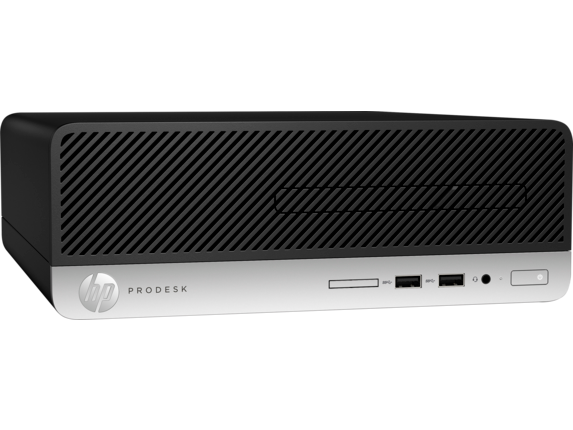 When you choose a small form factor desktop computer from HP, you get the reliability, security, capabilities, and size to be the perfect fit for your business, now, and far into the future.